In 1831, four Nez Perce men from the Kamiah-Kooskia region of the Clearwater River made the arduous journey across the Rocky Mountains and down the Missouri River to St. Louis. Their mission: to visit an old friend, William Clark. The substance of their conversation may never be known—Clark himself made no written record of the visit—but the end result was momentous. A few months later, a breathless report appeared on the front page of the Christian Advocate, a popular religious weekly. It claimed that the Nez Perce had come to Clark on a spiritual quest, to seek the truth about the white man’s religion. 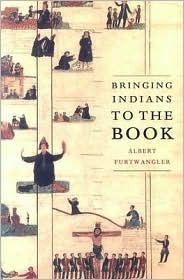 According to the Advocate, the Indians wanted to know more about the mysterious “book” that seemed to hold the secrets to the white man’s power. 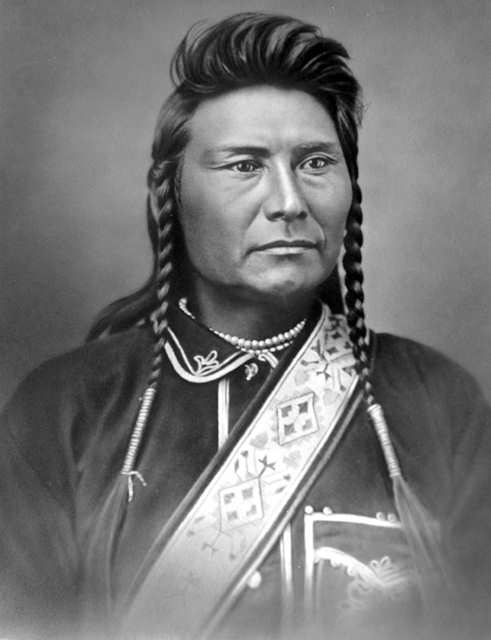 The leader of the group was a Nez Perce warrior named Black Eagle, about 44 years old, who may have met Clark as a young man while the Corps of Discovery stayed with the Nez Perce in the fall of 1805 and again in the spring of 1806. He apparently came from the village of the chief Lewis and Clark called “Broken Arm.” Accompanying him was another middle-aged Nez Perce-Flathead man called Speaking Eagle or Man-of-the-Morning, and two younger men, Rabbit Skin Leggings and No Horns on His Head, both about 20 years old. Two of them [Black Eagle and Speaking Eagle] fell dangerously ill … two of our priests visited them. They made signs of the cross and other gestures which seemed to have some relation to baptism. This sacrament was administered to them; they showed their satisfaction at that. A little cross was presented to them, they seized it eagerly, kissed it often, and it could not be taken from their hands until after their death. Their bodies were carried to the church for burial which was done with all the Catholic ceremonies. The other two Indians attended with great simplicity. They have returned to their country. The two younger men, Rabbit Skin Leggings and No Horns on His Head, headed back up the Missouri River on an American Fur Company vessel called The Yellowstone. 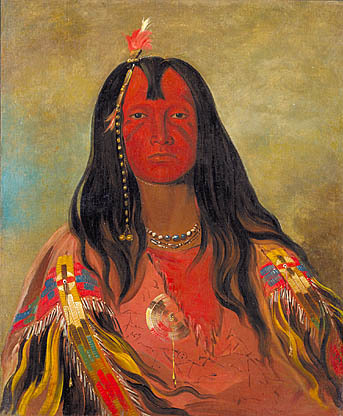 The western artist George Catlin met and drew both men, and reported that one of them died on the voyage, near the mouth of the Yellowstone River. The survivor reportedly made it back to his home country, but he had no way of knowing what their brief visit had wrought. The report in the Christian Advocate electrified the religious community. Within months, funds were raised, men were recruited, and a Methodist mission led by Jason Lee and his nephew Daniel headed into the Oregon country. They would be followed by others, along with a flood of white settlers. 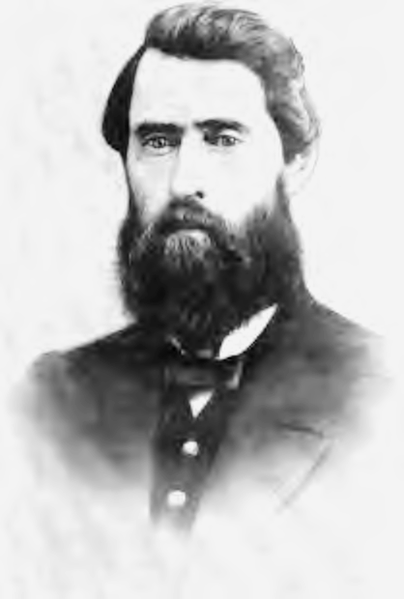 Though Lee’s mission to bring his Methodist brand of Christianity to the Flathead or Salish people of the Bitterroot range was almost entirely unsuccessful, his efforts had other lasting consequences. As more white settlers followed him to the Salem area, the Indian Manual Training School he founded evolved into the Oregon Institute, a school for white children (it eventually became Willamette University). The new chapel he built in 1843 became Salem’s First United Methodist Church. The same year, enough Americans had settled in Oregon that they outvoted the old British and Canadian residents to create an American provisional government. However, not all fellow ministers approved of Jason Lee’s leadership. The Missionary Board back east felt that he had abandoned the original goal of bringing God’s word to the Indians and was wasting money on land speculation schemes, and they recalled Lee in 1843. Though he was exonerated of misappropriating mission funds and reinstated by the Missionary Board, Lee fell ill and never made it back to Salem. He died at his family home in Stanstead, Canada, on March 12, 1845, age 41. By this time, Lee’s pioneering Methodist mission had been joined by Catholic, Presbyterian and Congregational missions, all competing for the privilege of saving the Indian soul. This next wave of missionaries included the first white women to cross the Rocky Mountains, Narcissa Whitman and Eliza Spalding. 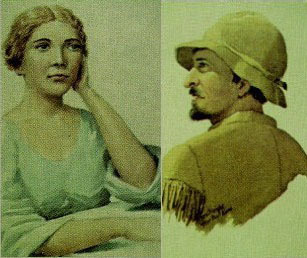 Narcissa Whitman and her husband Marcus founded a mission among the Cayuse Indians on the Walla Walla, and Henry and Eliza Spalding settled with the Nez Perce on the Clearwater. In 1842, the American Missionary Board decided to close the foundering mission and transfer the Whitmans elsewhere. Marcus headed East to persuade the board to reverse its decision but was rebuffed. During his return journey in 1843, he helped guide a wagon train of a thousand pioneers up the Oregon Trail, and the Whitmans’ mission soon revived, becoming a gathering place for these settlers and their children. The ties between the Whitmans’ mission and the encroaching white settlers angered the Cayuse, and when an epidemic of measles struck the area in 1847, the Indians’ dislike of the mission gave way to outrage. Most of the sick white children cared for at the Whitman’s mission lived, while almost all the Cayuse children who came down with measles died. Furious at this perceived treachery, the Cayuse took their revenge on November 29, 1847. They killed fourteen whites, including the Whitmans, and burned down the mission. The incident ignited the Cayuse War, which raged between the U.S. Army, local militias and the Cayuse for the next 8 years. In 1850, the Cayuse handed over 5 men who were hanged for the Whitman Massacre, but that did not end the conflict. The Cayuse were finally defeated and forced onto reservations in 1855. Compared to the Whitmans, the mission of Henry and Eliza Spalding on the Clearwater River was a smashing success. Henry gave out seeds and hoes and taught the Nez Perce how to cultivate lands for farms and orchards. 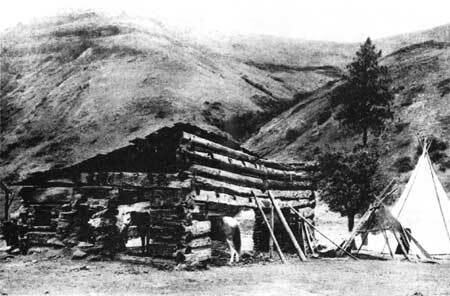 At Lapwai, Henry built a home, meeting house, school, mission church, blacksmith shop, sawmill and gristmill. 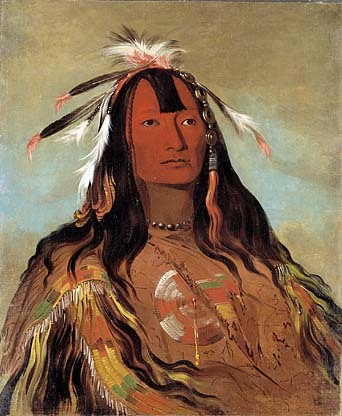 Eliza’s school served 200 pupils at a time, and Henry baptized over 900 Nez Perce, including Chief Timothy and Chief Joseph (father of the famous Chief Joseph). In spite of Henry’s reputation as a stern and unyielding man, at the height of his mission efforts as many as 2000 Indians attended his church services. After the murder of the Whitmans, the Spaldings were ordered to close their mission. They relocated to Brownsville, Oregon, where Eliza died in 1851. Henry returned to Nez Perce country twice as a teacher and missionary, dying in 1874 in Lapwai, Idaho, age 70. Joseph heeded these words. His refusal to give in to the pressure to make a treaty and move onto a reservation drove him and many of his people into flight, war and exile a few years later. Interesting that it was a Catholic church which impressed the Nez Perce contingent and yet it was the Protestants who tried to cash in on the interest. There’s also ample evidence of how the ignorance of the whites about the Indians as people resulted in so much tragedy. I note that you draw a distinction between two mainstream denominations- Catholics and Presbyterians- but do you think that Jesus also makes that distinction? By my understanding, Christianity (which includes both denominations) only requires that one believe in the Lord, Jesus Christ, as one’s savior, ask that one’s sins be forgiven, and one shall then be saved. In the immediate aftermath of the indian’s search for the “Book of Heaven”, my historical reading indicates that both the Protestants and Catholics sent missionaries to the area to work with the indians. Many were saved. Praise God!